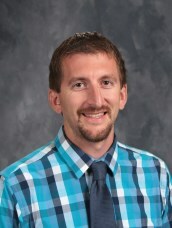 Mr. Honebrink started as a student teacher at Calvary and then accepted a call to continue his ministry at Calvary as the 6-8th grade math teacher. He has been with us for 8 years. Since he's been here, he has successfully developed the Middle School Math program to include Honors classes for each grade. His Honors students take Algebra I, Algebra II, and Geometry. Students are also tasked with recognizing real-life Mathematics application and complete tessellation and proportion projects. Check out his math page to see some of the cool things the kids have done!